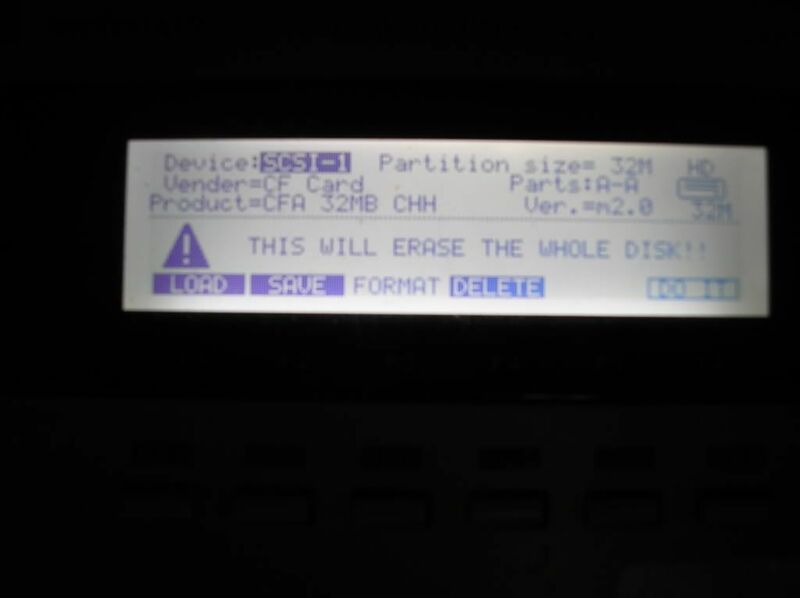 Has anyone installed this SD card reader onto an MPC2000 classic?? Someone tried an earlier version and had no luck. But that could've had something to do with the SD card itself for all I know. I never bothered to take a gamble since MO disks have been a good solution without breaking the bank. But if you have the time, money, and persistence to get it working, you might be able to help the community. This is the road less traveled if you're willing to experiment for the sake of forging ahead. But if you're looking for a sure thing for less money, consider MO disks over Zip any day. distortedtekno wrote: Someone tried an earlier version and had no luck. But that could've had something to do with the SD card itself for all I know. I never bothered to take a gamble since MO disks have been a good solution without breaking the bank. But if you have the time, money, and persistence to get it working, you might be able to help the community. This is the road less traveled if you're willing to experiment for the sake of forging ahead. But if you're looking for a sure thing for less money, consider MO disks over Zip any day. Thanks - I am poised to forge down the V6 SD path for the sake of my MPC2000 Classic bretheren. I will keep you all posted. LADiego wrote: ok, i got my hands on a camera and took pics. 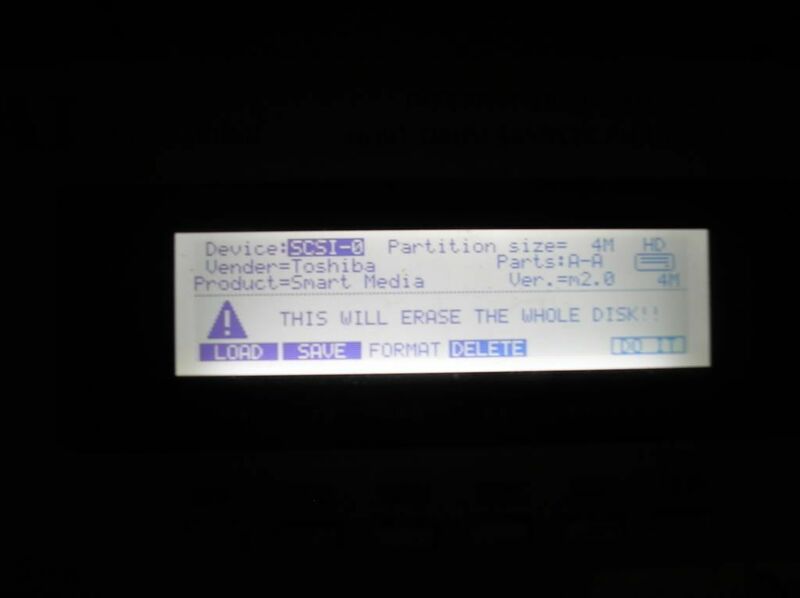 we have little knowledge of electronics and consider ourselves humble, but with the help of mpcstoragesolution.com (thanks) we took the plunge and mod the mpc2000. see pics below and for anyone interested in attempting it, hopefully the pics and detailed description we are contributing on this forum for free will be useful to anyone. after removing the top cover, board with pads and buttons, we took out the stock floppy drive. placed the card reader in place. aligned the drive also temporarily placing the front cover so that the card reader face was approx flush. 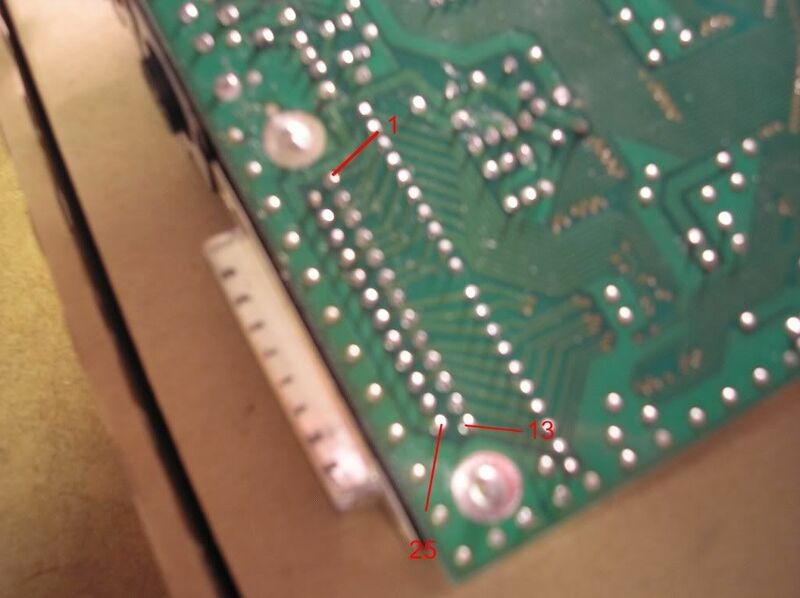 with a marker we marked two dots on bottom of mpc where the 2 screws holding the floppy are. we removed the card reader and drilled 2 small holes (slightly smaller than the screws). put card reader back in place and screwed it in. 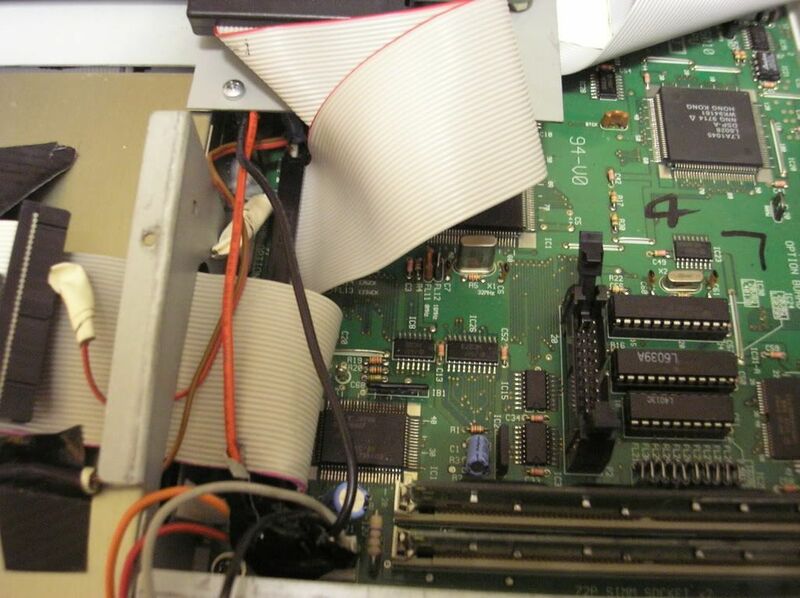 note the ide scsi board located on top of the card reader to the right. used velcro to stick to side of metal wall. we believe there could be other locations to place the board. we used velcro which holds nicely and the board can be removed at any time. 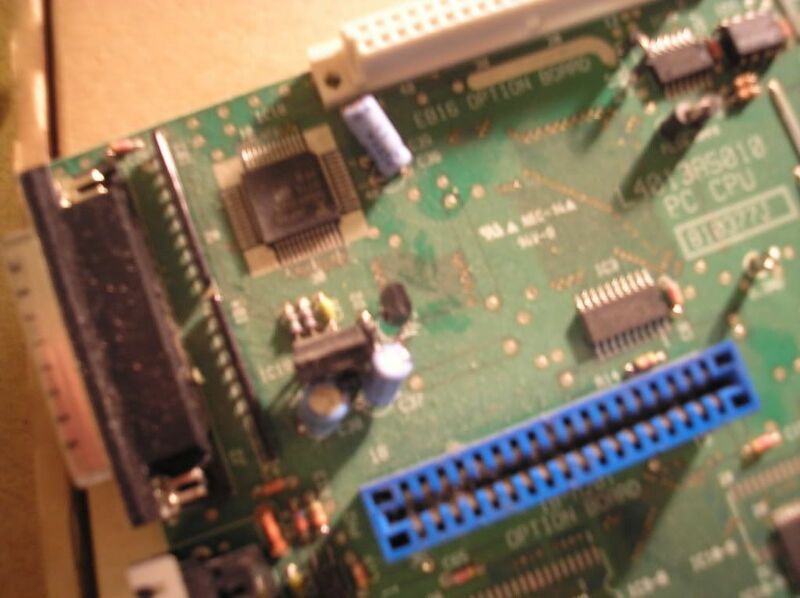 card reader connected to ide scsi board by ide ribbon cable. 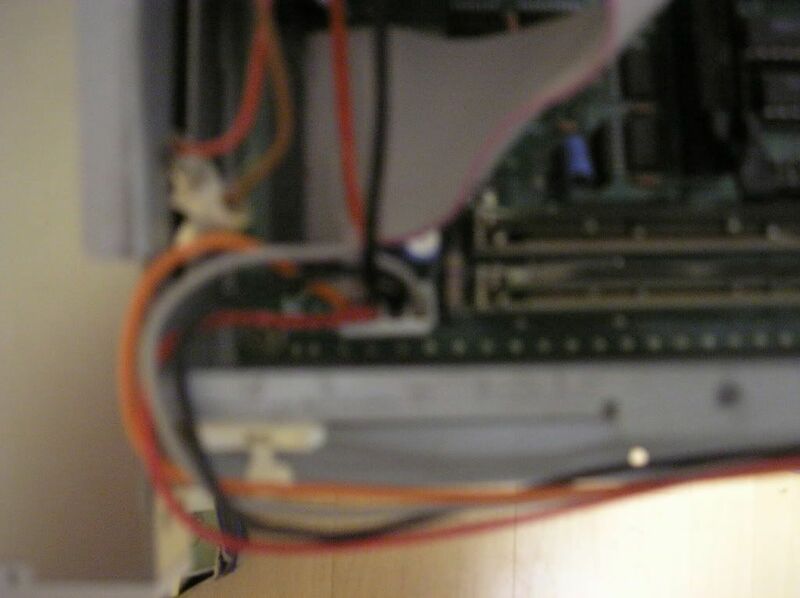 then there is the scsi ribbon cable that shoots across the pic that connects the ide scsi board to another converter. notice 1gb card inserted. at the end we used a 16gb to test. see pic. before moving on to the idc50 db25 converter, take a look at the y power adapter. 5v needed to be supplied to card reader and ide scsi board. 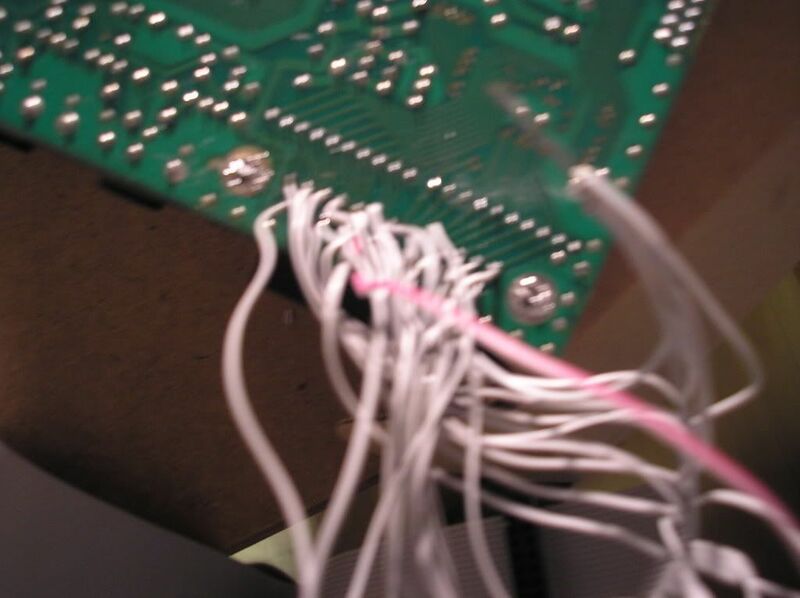 the floppy connector cable was cut leaving only the red and brown wire. we took a male molex connector with an available red and black wire. 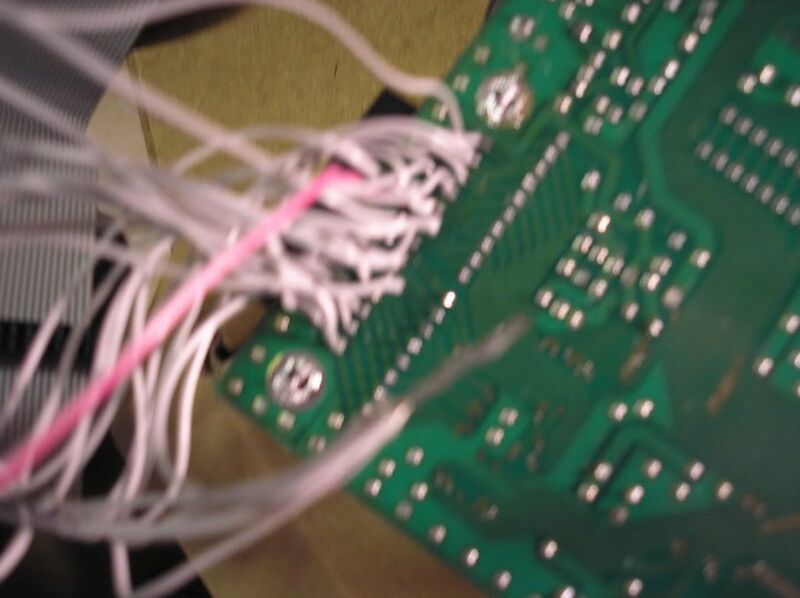 the red wire was tied to the brown wire. and the black wire was tied to the red wire of floppy cable. now the card reader and ide scsi board could be connected to the mpc board via the y power adapter as shown to get power. shown below is the idc50 to db25 pin convertr board. 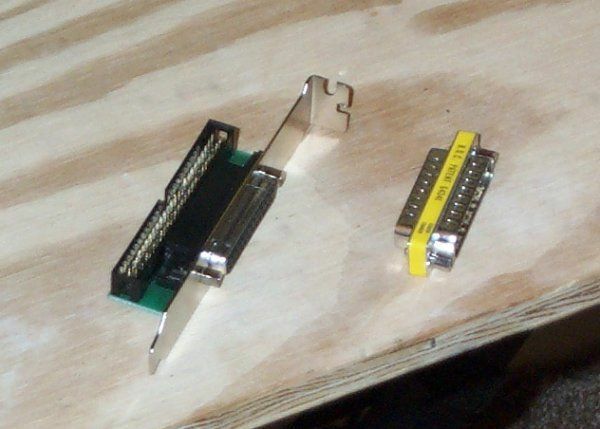 the scsi cable that comes from the ide scsi board connects to the convertr board. then there is the other cable that connects to the convertr board which is special in that is customized. you can make yourself using an exacto knife and crimping tool. the 25 pin ribbon cable has 2 male scsi ports and one female scsi port (new port that will be shown in the NEXT picture). below pic shows rear of the mpc2000 with custom cable and new scsi port. in the next pic we connected a 250MB scsi zip drive to the new scsi port and inserted a 16GB card into the new card reader. everything was recognized. also screen shots of the card reader and zip drive recognized. Our MPC2000 uses 1.72 os. see pics. there you have it. looks pretty clean to us and felt like a no-brainer. the experience was nice. for tools we used a drill, screwdriver, scissors, electrical tape, pliers. the easy to get parts are available on ebay where you can get real cheap to bring your cost down. single power adapter to connect y adapter to floppy wires. scsicadreaders, better yet and if possible, post your pics to the forum so we can all compare notes and share improved ways to add a scsi card reader to the MPC2000. just one heads up, there are kits out there that sell cheap but that is for the MPC2000XL only which has internal ports already. BUT for the MPC2000, an ide scsi board and an idc50 db25 convertr is very much needed to make it work. 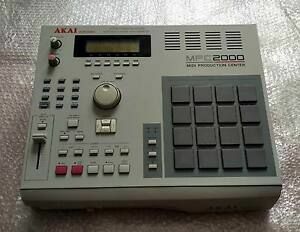 once, you get it working, other MPC2000 users will say damn! now that we have installed the card reader on our MPC2000, one thought, installing an internal hard drive should also be very easy. credit? . . . give credit to whoever you feel or wherever you feel it is due . . . whatever. we do not want credit but only to share our experience with our peers (you guys). we just wanted to provide more detail and pics on what is involved and to let everyone know that it can be done. you have a choice. i have a buddy who has an MPC3000 will ask him if he is interested in adding a card reader. another interesting mod to post on this forum. 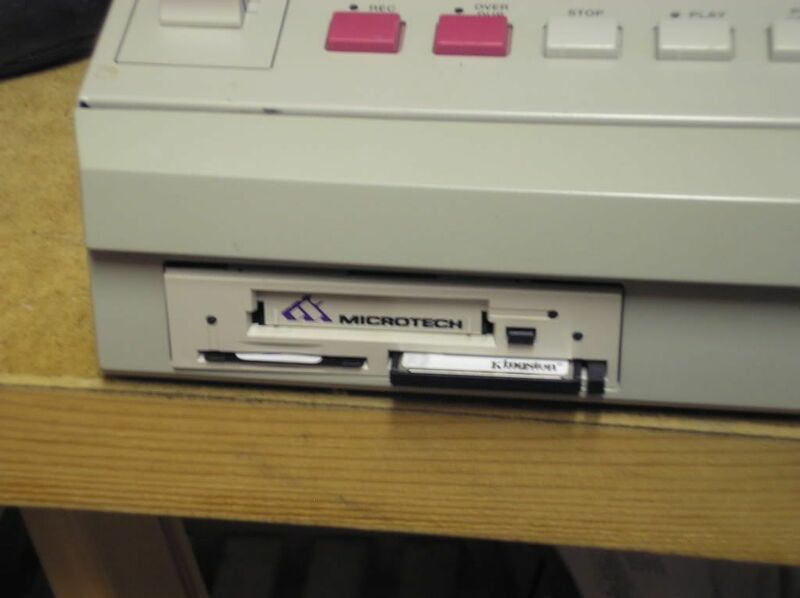 on the last weekend i installed a card reader (microtech pcd-47b) to my mpc 2000 classic. here i post some pictures, how I do it. sorry, but the pictures aren't perfect. so i must modificate the metal in the front with a screw and use only two screws to fix it. Why are you posting internal SCSI mods when this guy hasn't even got to the point of testing the card reader? How can you test it in the classic without mods? With an external SCSI drive housing. Yeah that would definitely be a cheaper way if he plans on doing an internal SCSI mod. Otherwise if he wants to stay external, it's better just to buy the enclosure and not have to splice into the floppy power cable. I don't think OP realizes the classic aren't as simple as plug and play when it comes to SCSI drives. I wouldn't recommend the USB floppy emulator. There's no way to save more than 1.44mb because it won't allow you to save on multiple partitions. He's probably better off with the SCSI CF readers that are on ebay for $100. You guys got some weird ideas.